First of all welcome to the GSMNepalZone.blogspot.com and thanks for visit about us page. GSMNepalZone the pioneer of Mobile, Computer and Laptop repairing technique and skills. GSMNepalZone delivers the latest updates useful and informative content on national and international technology, information with photo, audio and video. 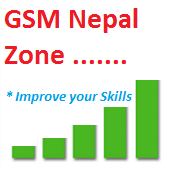 GSMNepalZone strives to be very accurate by leaving no stone, unturned as it digs into the heart of every technique and skill on local as well as international level. Beside its comprehensive news coverage and updates every hour. GSMNepalZone offers wide range of extraordinary insights on topic ranging from fault to solution, repairing technique, skill development about Mobile, Computer and Laptop repairing and many more. To share the technique of Mobile, Computer and Laptop repairing i fell grateful to all. If you want to ask and share anything on our blog then fell to free tell us. Please note that content should be related to Mobile, Computer and Laptop repairing faults, solution and technique only. If any comment about this blog then fell free to tell us.